- Offers up to 6 levels of training, 44 different exercises. - Expand chest, back, arms, shoulders and abs in one motion. - Shape your body quickly, easily and effortlessly. - Compact so that you can take it anywhere! 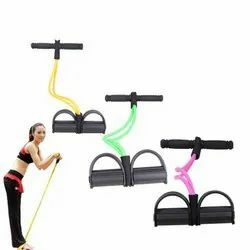 Generic Revoflex Xtreme Home Gym. 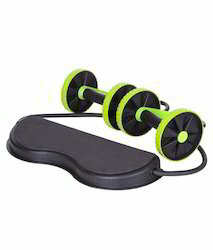 - The Revoflex AB Exerciser, is ideal for abs, chest, back, arms, shoulders, thighs and glutes. Offers upto 6 different levels of training and 44 different exercises. Our reputed entity is engaged in supplying Revoflex Xtreme. We are engaged in offering Revoflex Xtreme. Banking on our enriched industry experience, we are able to supply Revoflex Xtreme. In order to meet excellent quality standards, we are supplying Revoflex Xtreme. Singh Sports & Fitness Co.
We are amongst the most reputed names in the industry, offering Revoflex Xtreme. Our company has been successful in winning appreciation from the clients as one of the most prominent names in the trading of Revoflex Xtreme. - Compact so that you can take it anywhere in a bag. - Offers upto 6 different levels of training, 44 different exercises.